On April 16, 1977, television viewers watching Saturday Night Live were introduced to Nick 'the lounge singer' and almost immediately Bill Murray's unforgettable take-down of out-of-tune, oily, tacky hotel-crooners, his signature fusion of music and comedy, became the stuff of legend. 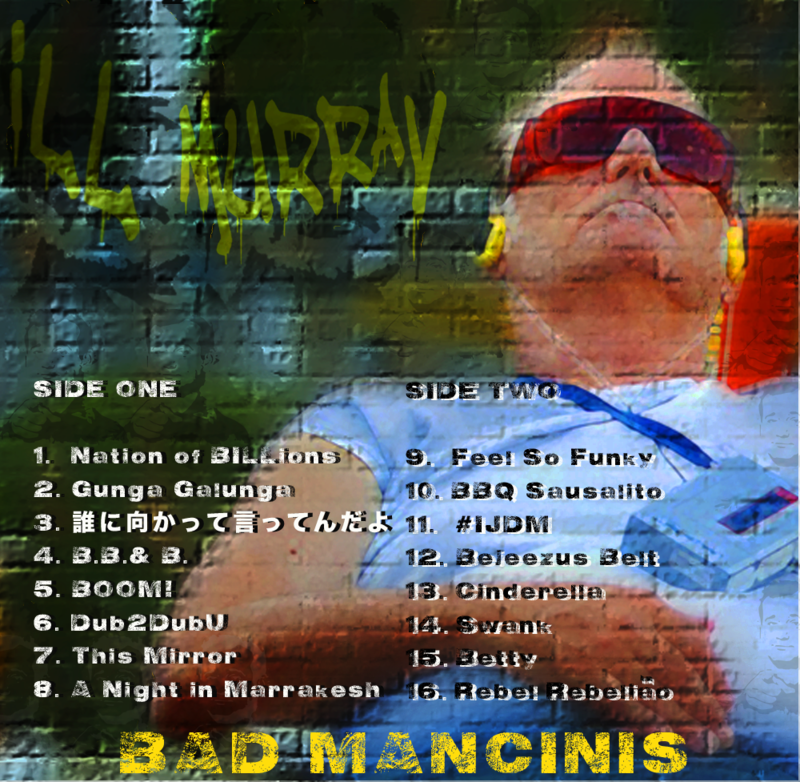 And on April 16, 2017, in honor of the 40th anniversary of Nick's television debut, Boston electronic musicians the Bad Mancinis released side one of their 'online mixtape' ILL MURRAY, a concept-album, sample-driven tribute to America’s favorite celebrity prankster, the Internet's favorite 'human meme' and the world's favorite sad clown. The songs on ILL MURRAY span genres and decades, drawing from movies, television and interviews. Original electro-dance anthems and hip-hop-collages sit side-by-side with seventies disco remixes and Latin and African jazz loop-jams. For inspiration the Bad Mancinis looked to sampling pioneers like the Dust Brothers, Prince Paul and DJ Shadow, as well as modern masters of the mash-up genre like Danger Mouse and Girl Talk. Each track is built around the sampled vocals of a rotating cast of Bill Murray characters— including groundskeeper Carl Spackler, explorer Steve Zissou, doctor Peter Venkman, and (of course) lounge-lizard Nick. Each tune is a mini-tribute to the signature humor, unique philosophy and unmistakable voice of Bill Murray.